A trip to Toronto is not complete unless there is a side trip to Niagara Falls. Back in 2009, Gerard and I visited Iguazu Falls in South America. 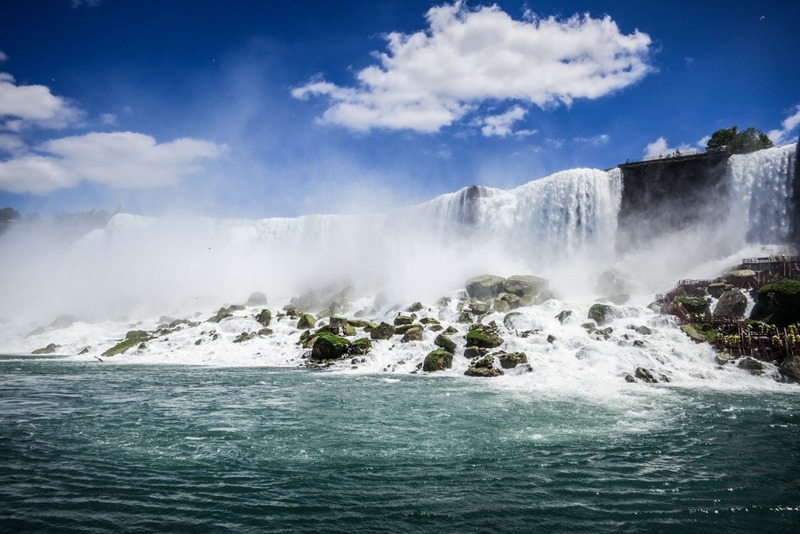 Both falls were often compared to one another so I was eager to witness Niagara and see what all the fuss is about. We had an early morning pick up from our hotel with Niagara Toronto Tours. You know I’m usually always in a good mood when there’s wine involved but as you can see, written all over my face, I wasn’t exactly sure if my liver could handle another glass after our first TBEX attendance, not that I’m complaining – it was an awesome weekend with friends. 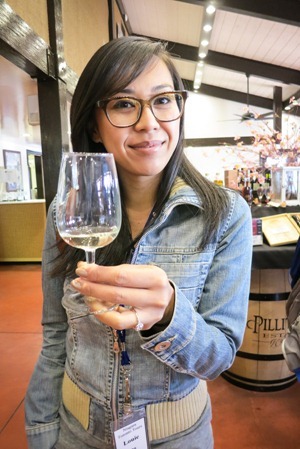 Ten in the morning is early for wine but I was curious to try the famous Icewine at the Pillitteri Estate Winery. Meant to be sipped and enjoyed slowly, it’s an intense concentration of aroma, very sweet it made me pucker. I like it. I fell for this place instantly. 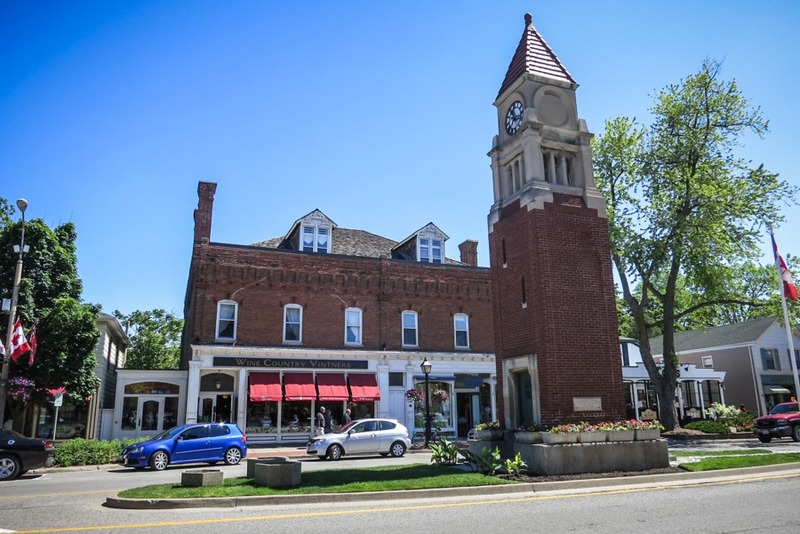 With it’s small town feel and old world charm, it’s like straight out of the history books, I felt like I was on a movie set or something. 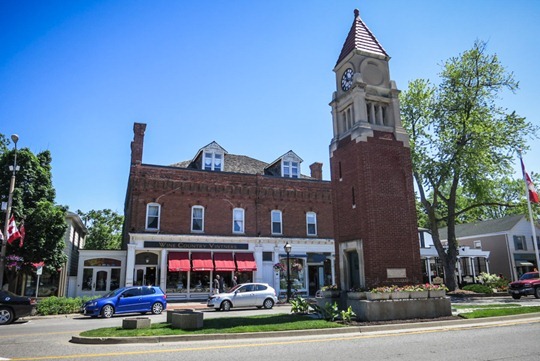 Niagara on the Lake, as Louie our driver, pointed out, is basically where Canada was born. From here, we headed toward Queenston Height Brock Monument. I can’t remember the history behind it, and we didn’t get out of the car to get a closer look either which I’m assuming is due to lack of time, so not much I can say about that. Although, I quite enjoyed the ride over when we got to see the many different style of homes and private properties, most colonial-inspired which were pretty cool. 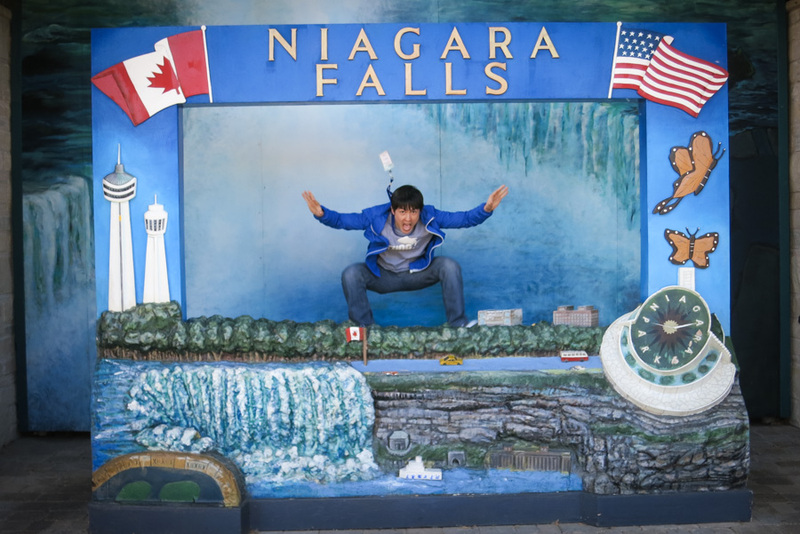 We even got to make a pit-stop at a souvenir shop for some quirky pics of Niagara Fallin! Following the monument, we arrived at Niagara Parks Floral Clock which is one of the most photographed sites in Niagara Parks. Unfortunately for us, we came during the one out of two times a year where they swap out all the flowers so all that was there was dirt and fountain.. and nothing else. We made another pitstop at Souvenir City while we waited for some other people to return back from their helicopter tour. Interesting fact: Maid of the Mist has been continuously operating since 1846, making it North America’s oldest tourist attraction. Who knew?! The rain ponchos aren’t entirely worthless but man do we look goofy in a sea of blue. I was completely dry from my neck down to my knees. My hair and face was soaked along with my Sperry Top-Sider loafers. So not the right shoes to wear. My first thought as we round the corner and approached the bus stop is, Wow, are we in Las Vegas? Because there were Casinos, a Hard Rock, tourists attractions and games. It wasn’t exactly what I had in mind.. what Niagara would look like. I also have to admit, I wasn’t blown away. I immediately had flashbacks of our time in South America and how remarkably stunning Iguazu Falls was at first sight. Legend has it that Eleanor Roosevelt took one look at Iguazu Falls and exclaimed, “Poor Niagara!”.. and I’m sorry to say, I think I might have to agree with her on this one. That isn’t to say I wasn’t impressed because it hit me once we got on the boat ride. Niagara is stunning, there’s no doubt about that. And, your chances of seeing rainbows and double rainbows are high. I’m just saying if I had to choose, Iguazu takes the cake. My one advice: make sure you give yourself enough time to walk all the way down to the end where the horseshoe is to get this view below! We spent a slow and leisurely lunch and only made it halfway down the promenade before having to reluctantly walk back to our 4 o’clock departure. All in all, we had a nice and relaxing day with Niagara & Toronto Tours. It was nice to NOT having to worry about how to get from one place to the next and Louie, with his bubbly care-free attitude and infectious smile, made the ride all the more enjoyable with his tid-bit facts about Toronto and Canada as a whole. 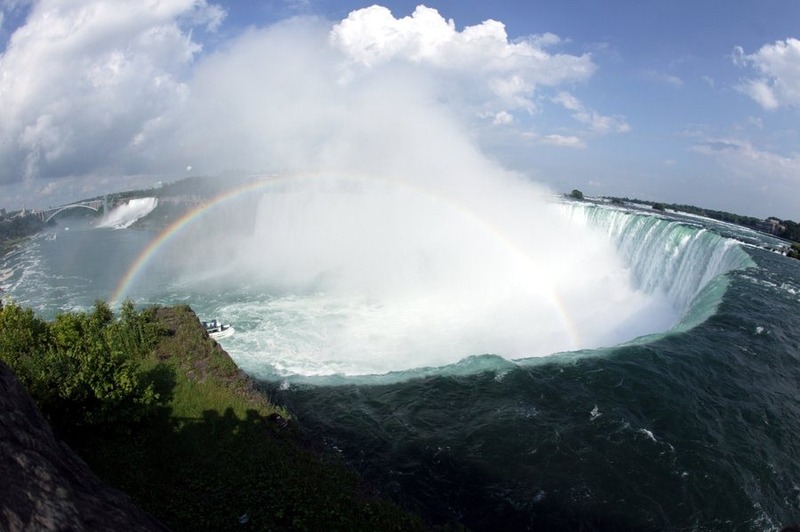 What was your first impression of Niagara Falls? 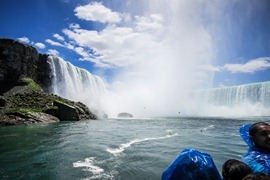 Psst.. we received a complimentary day tour with Niagara Toronto Tours. As always, all thoughts and opinions are my own. My thoughts, my words. Still my voice behind the blog. Aw, I did the same tour just 2 days ago 😀 U didn’t end up so wet like I did at the Maid of the Mist! Whenever we meet people on our trip who say they really want to go to Canada to see Niagara Falls, I always wonder why! Maybe it’s because I grew up so close to them and so have seen them quite a lot, but they never seemed like such a big deal to me. On the other hand, this might also be why I don’t really feel a burning desire to seek out waterfalls in other parts of the world! 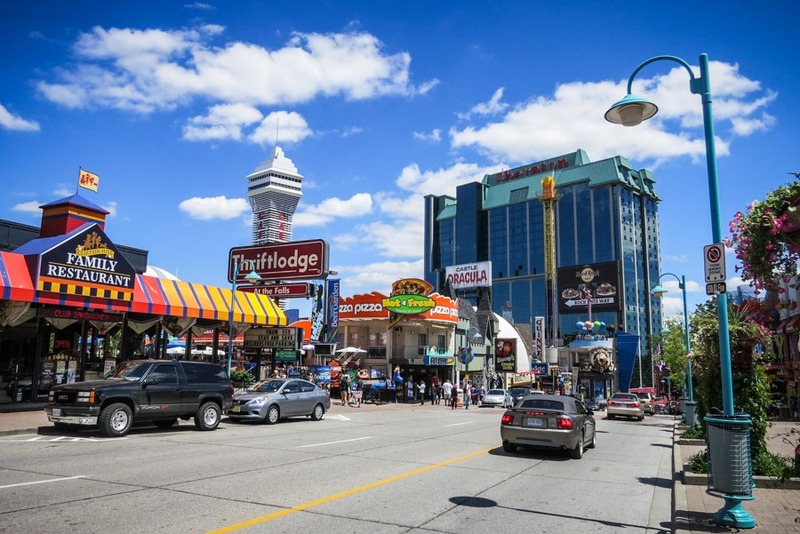 These days, trips to Niagara Falls are definitely reserved for when we have visitors in town. I’ve still never been on Maid of the Mist, though! Great post Sheila! 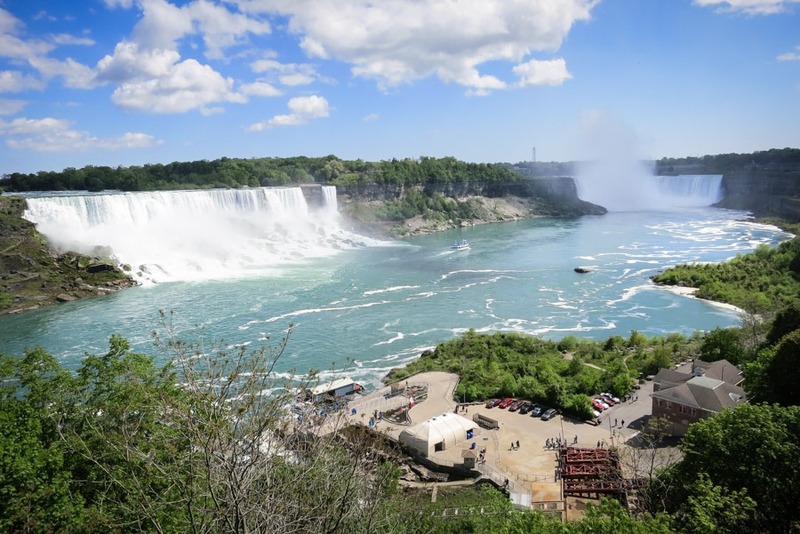 We’re fallin’ for Niagara this summer and were a little ‘iffy’ about the maid of the midst given the young ages of our kids. 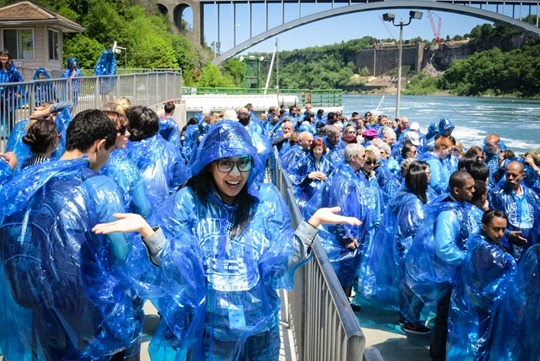 Looks like fun was had by your…we’ll likely re-consider and join the team with the blue ponchos. 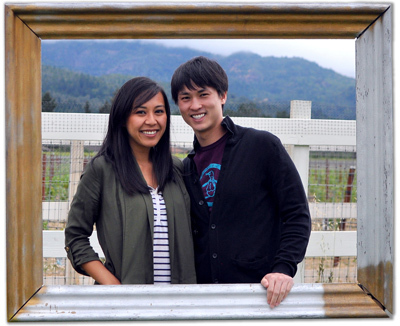 We can’t wait to go! Glad you got to do the Maid of the Mist…everyone should do it at least once! As for the rest of Niagara Falls, my favourite time to go is in the winter. It is crazy busy like Vegas (as you mentioned as I have never actually been to Vegas), but when some of the cold weather induced tranquility sets in, it is so beautiful….but you have to go in warmer times for the trip in the blue ponchos! Did you love the ice wine?! Not sure those ponchos are lola-approved… Would love to see the Iguazu Falls. Its cool that you finally got to compare them! Haha, similar feelings on not being super impressed. 🙂 After Vic Falls it just wasn’t the same. Looks like you had fun though! We hear you. It’s hard to compare after visiting Iguassu. I visited Kaieteur Falls in South America, which has a drop five times higher than Niagara, so I know how you feel. However, even a small cascade is pretty, so I am sure Niagara would be worth it. My Toronto trip was not complete, so I will have to come back and visit. Haven’t been here for a good 15 years (check me out, getting proper grown up). Amazing how the place didn’t seem to have changed… Thanks for the memories, and I mean it!